Anyway, that item won’t be shown until after Christmas, but I do have some mending to share with you today! 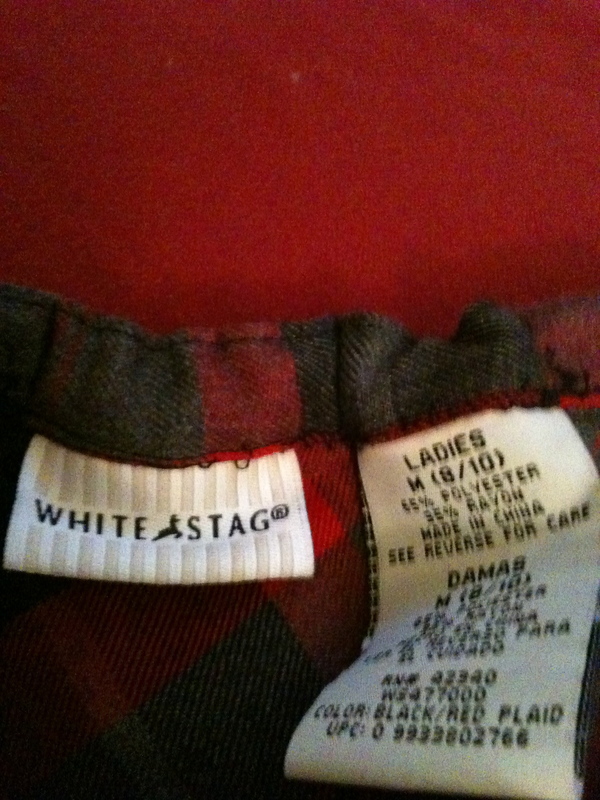 The skirt is a long, A-line, red plaid skirt that hangs very straight and looks winter-y. That in mind, I couldn’t just shove a bunch of elastic at the top or it would bunch up all weird. 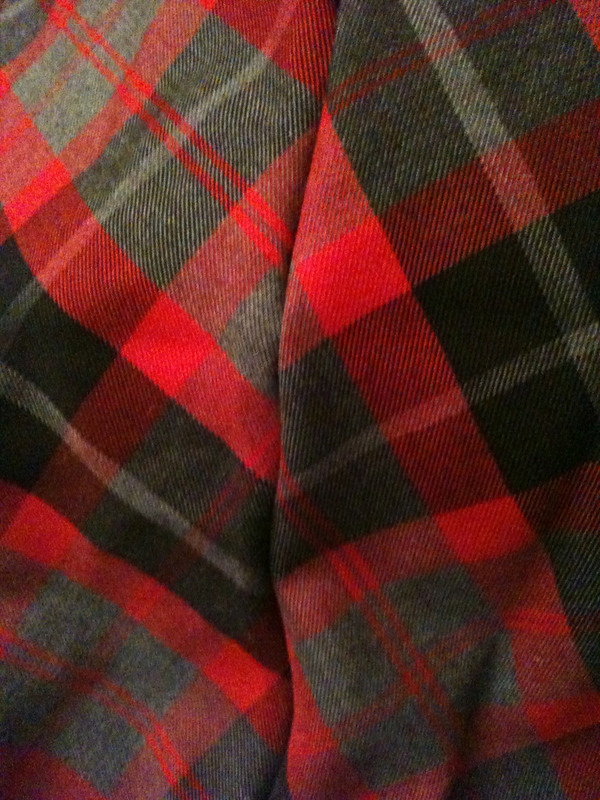 I did find that there were three 4″ areas of elastic at the top already just to keep the skirt flat to the skin. There was one on each side, and one at the back. The ones at the sides couldn’t be touched, because the left side had a button hole sewn into it and I didn’t want the skirt to be uneven by changing the elastic on only one side, but I could tighten up the elastic in the back. I carefully took out the seams, pulled out the old elastic and inserted a smaller piece that would pull the skirt in a tiny bit more. Hmm. That picture looks awfully scrunchy. It was hard to lay it flat AND take a picture, okay? =P That still didn’t make the skirt small enough, though, so next, I located one of the seams at the back, and sewed a new seam right next to it, about an inch further in. 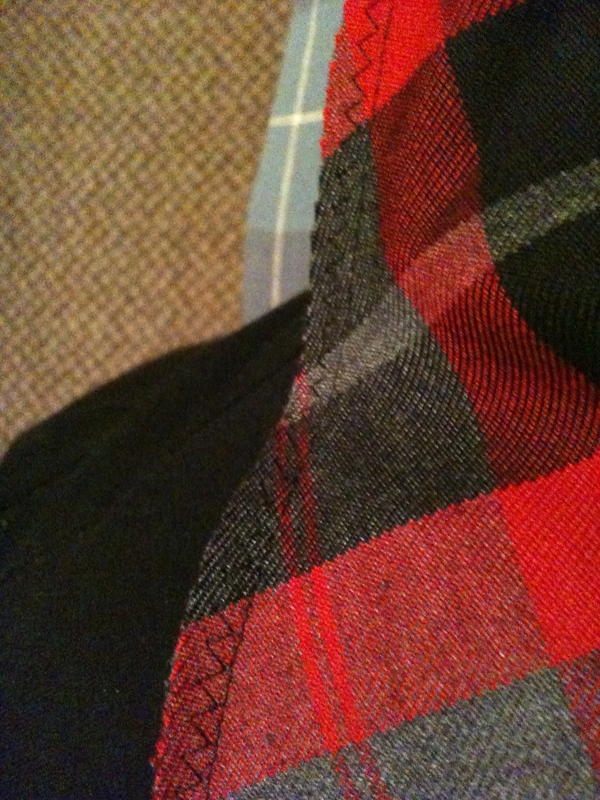 Then I cut off the excess, zigzagged up the whole stitch to keep it from unraveling, and gave it a quick iron! Hopefully, the alterations will be perfect when she tries it on! Craft 44 out of 52: Complete! Hope everybody has a great Saturday! Yippee!!! I am super-surprised by this post, and will be VERY excited to see the skirt tomorrow! Thank you!! !